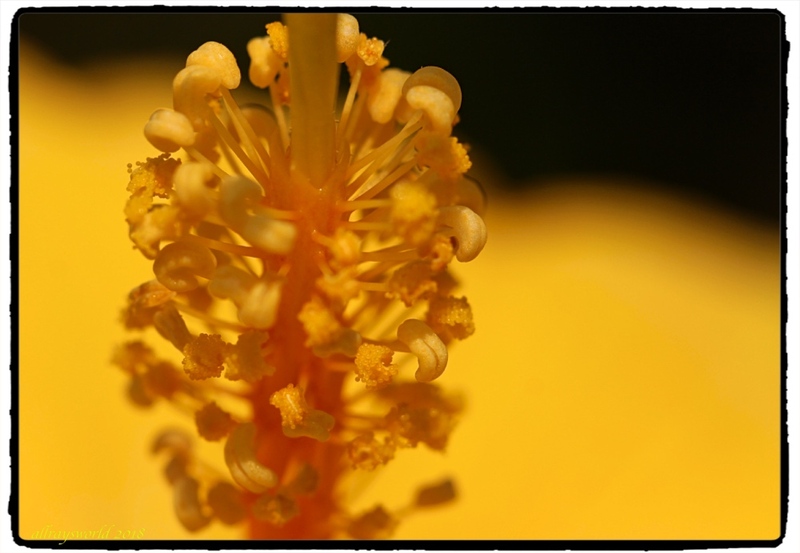 The working bits of the Hibiscus bloom are wondrous pretty things. Très jolies macro couleur du soleil. Ray: Merci, Martine. C'est une floraison richement colorée. Ray: This Hibiscus shrub graces our garden with large and gorgeous blooms most of the year, Larry. Such beautiful macro shots - just love the detail and the brilliant color! Ray: These flowers are stunners, Elizabeth. Ray: In our garden, Hibiscus seem to flower nearly all year, Chris...I am not complaining! Certainly is when seen though your macro lens. Ray: The blooms are big and beautiful things, Alan. Ray: This shrub has quite big blooms, Philine, and they are beautiful! Ray: Merci, Claudine. J'aime me rapprocher des fleurs, car leur beauté est souvent dans leur détail. Ray: It is a big and bold bloom, Bill. Just waiting to be ravished by whatever insect happens by. Ray: Strangely, Mary, I have never seen a butterfly on this shrub. Indeed! As you say, Ray. Ray: Sometimes the beauty is in the detail, Tom.